The bulk of the region's first major storm of the fall season has passed San Diego but not before dumping inches of much-needed rain in some areas, weathercasters said. 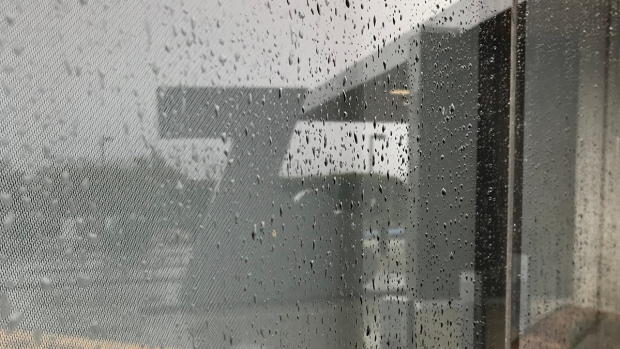 The storm continued to produce heavy downpours across San Diego into early Friday as it made its way east but, by 8 a.m., few spotty showers were tracked on NBC 7's First Alert 7 Doppler Radar. Showers would gradually decrease throughout the day, mostly affecting San Diego County's mountains through the afternoon. 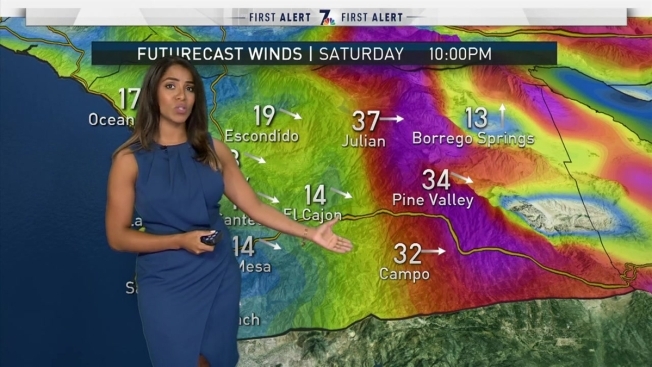 It is possible that periods of heavy showers, remnants from the storm, would touch down in various parts of San Diego County through the weekend, though rain would be widespread, according to NBC 7's Meteorologist Sheena Parveen. Alerts warning of high winds and possible flooding and were no longer in effect. The only alerts that remained Friday was a high surf advisory and a small craft advisory, set to expire Saturday evening and Sunday morning respectively. The storm did bring pollutants to San Diego oceans, prompting the County Department of Environmental Health to issue water contact closures at the Tijuana Slough National Wildlife Refuge and Border Field State Park due to sewage-contaminated runoff from the Tijuana River. The agency recommended that swimmers wait 72 hours after a storm before surfing or swimming in the ocean. The rain also forced Los Penasquitos Canyon Preserve, Del Mar Mesa Preserve and Carmel Mountain Preserve to close indefinitely until conditions improved. 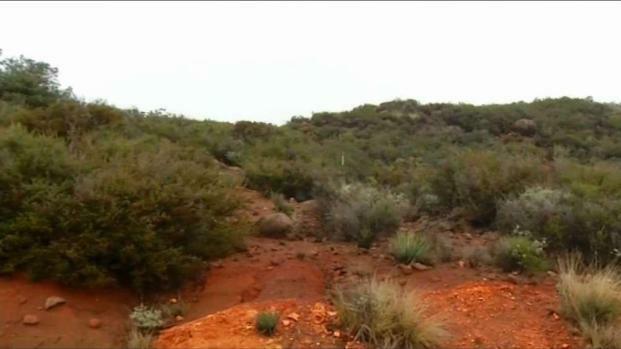 While most parts of the county received some rain during the storm's day-and-a-half presence in San Diego, significant precipitation was recorded in the mountains. 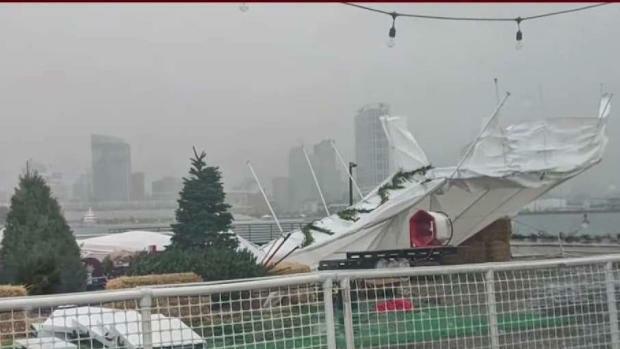 The first storm the season packed a wallop. NBC 7's weather anchor LLarisa Abreu has the details. The highest recorded rainfall amount was on Palomar Mountain, which received more than five inches of rain. Julian received more than 3.6 inches of rain, Descanso received 2.5 inches of rain and Mount Laguna received more than 1.5 inches of rain, according to the NWS. Some parts of the inland valleys also received inches of rain during this period, including Escondido, Skyline Ranch and Mt. Woodson. Fallbrook, Alpine and La Mesa received just under two inches, while Poway, Ramona, Rancho Bernardo, Lakeside, Scripps Ranch and El Cajon were met with more than an inch of rain. In more coastal areas like Carlsbad, Point Loma, Oceanside and Del Mar, rainfall totals were just under one inch. Encinitas, Kearny Mesa, La Jolla and Chula Vista saw more than an inch of rain. But after years of drought conditions that have led to wind-fueled wildfires, and months without heavy downpours, the rain is much needed in California. 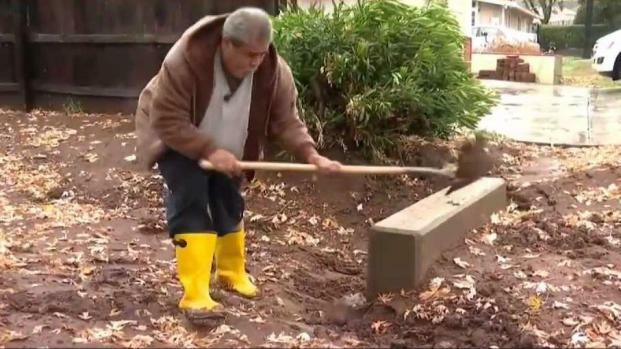 City of San Diego employees told NBC 7 they are hopeful that the first fall storm of the fall season is a good indication of a wet winter season that could add to the region's reservoirs. The storm brought fears of flash flooding in areas scarred by recent wildfires, including last December's Lilac Fire in Fallbrook and this summer's West Fire in Alpine, the NWS said. 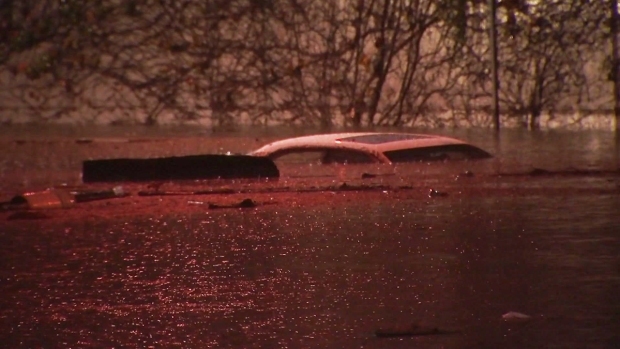 The National Weather Service issued a flash flood watch that expired early Friday. Some light rain began falling in North County San Diego at about 10 p.m. on Wednesday but the brunt of the storm hit the region Thursday afternoon. A second wave of rainfall, not as heavy as the first, peaked at around 1 or 2 a.m. Friday. During periods of heavy rain, California Highway Patrol saw an uptick in crashes, according to their dispatch system. Before 5 a.m. on Thursday, hours after the storm reached San Diego, crashes involving three semi-trucks were reported on area freeways. In one, a flatbed truck crashed into the center divider and a semi-truck, in an attempt to avoid the first disabled vehicle, drove off the roadway and landed in an embankment. NBC 7's Erika Cervantes spoke with the lot's owners who talked about what made it so special. No major injuries were reported in any of the crashes.